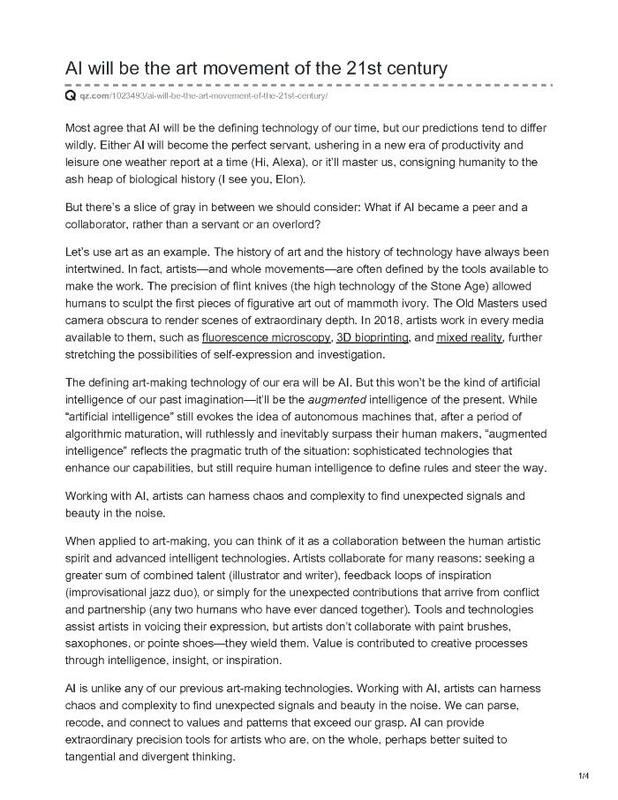 "The defining art-making technology of our era will be AI. But this won’t be the kind of artificial intelligence of our past imagination—it’ll be the augmented intelligence of the present. While “artificial intelligence” still evokes the idea of autonomous machines that, after a period of algorithmic maturation, will ruthlessly and inevitably surpass their human makers, “augmented intelligence” reflects the pragmatic truth of the situation: sophisticated technologies that enhance our capabilities, but still require human intelligence to define rules and steer the way."